The Kogi State Police Command has warned politicians to desist from hiring thugs or getting involved in any activity that will cause violence and disorder during the party ’ s congress scheduled to hold Friday. 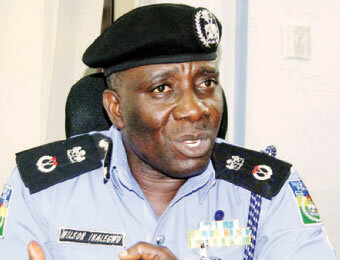 The Commissioner of Police in the state , Wilson Inalegwu , gave the warning in a statement in Lokoja on Thursday . In the statement signed by the Police Public Relations Officer , ASP William Aya, Inalegwu assured the public that the congress would be hitch- free, adding that the command had put in place measures to deal with anybody caught trying to cause public disorder within the state . The statement read in part , “The Nigeria Police Force , Kogi State Command , wishes to notify the good people of the state that there would be a temporary traffic diversion within Lokoja town particularly from Paparanda Roundabout to the Post Office junction . “ Consequently , all vehicles coming from Natako into the town can either pass through the Naval Headquarters to Post Office junction or New Layout through NTA Roundabout till the end of the convention . “ The Commissioner of Police therefore urged the good people of the state to adhere to this advisory , while assuring them of the command ’ s determination to ensure adequate security of lives and property in the state .